VANCOUVER — They grew up dreaming big, much bigger than junior college. Then they realized playing for a two-year program is a big accomplishment, a huge deal, and a giant opportunity. 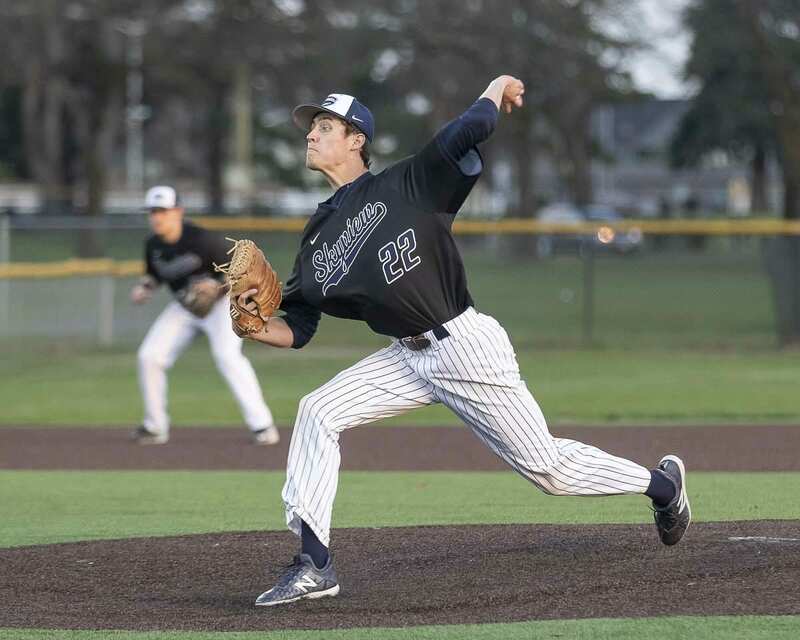 Skyview baseball, the top Class 4A program in Southwest Washington in recent years, has four on the team this season who have made plans to play next school year in the Northwest Athletic Conference. All four just might be Division-I talent, even right now, but they are taking a detour first. “I was a Division-I-or-bust kind of guy when I was younger,” Ryan Pitts acknowledged. “I was Division-I the whole time, too,” Liam Kerr added. 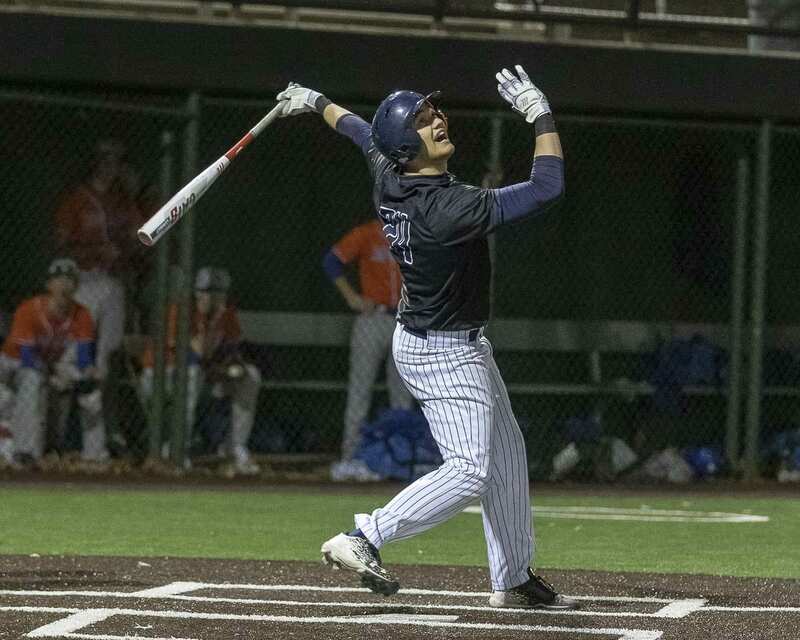 “I don’t think anyone thinks they want to play JuCo right out of high school,” Lowell Dunmire noted. Time, experience, and knowledge have changed that way of thinking. Pitts, Kerr, and Dunmire are now planning to head to Longview to play at Lower Columbia College. Baseball players have another option, an option that can still lead to grand destinations, including Major League Baseball. Last year, 88 players from junior colleges throughout the country were drafted. And there are plenty of Division-I players who also had a year or two at junior college. Baseball coaches understand this, too. When an athlete comes into Seth Johnson’s program at Skyview dreaming of the Pac-12, the coach makes sure the player understands there are many ways to reach that goal. 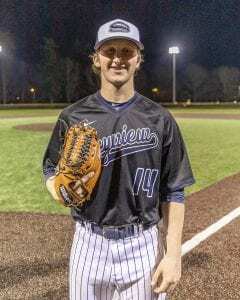 Over the last 10 or so years, Johnson said, dozens of Southwest Washington high school players have gone to junior college then continued playing baseball at a four-year school and/or the minor leagues. 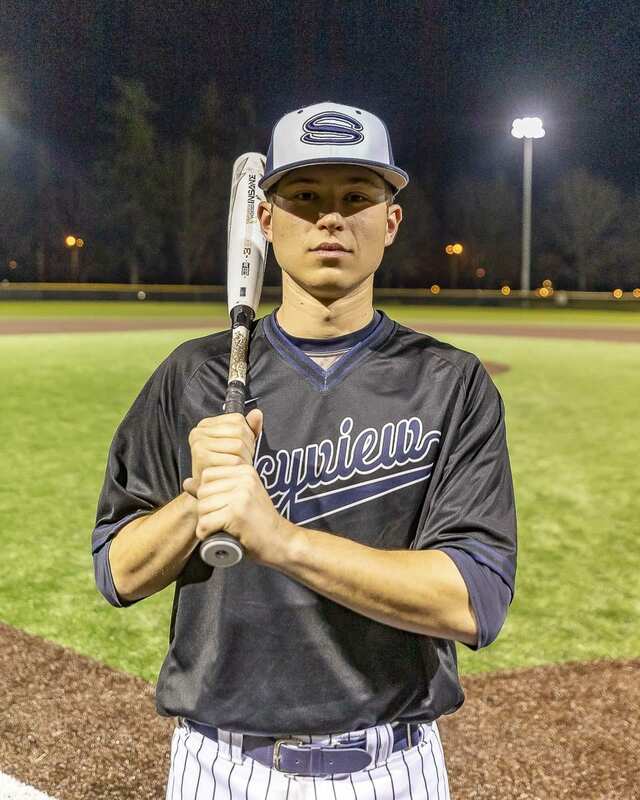 All four Skyview recruits believe they have what it takes to play at a higher level. All four believe they will one day. There are advantages to two-year schools, though. Often, they earn playing time sooner. And they are eligible to be drafted into professional baseball earlier than athletes who begin at four-year programs. “I didn’t want to go too far from home,” Pitts said, adding that he knows the LCC has a history of players moving on to Division-I programs. For Miller, it was all about finding the right fit for him right now. Tacoma was that place, with the coaches and the facilities. Kerr wants that, too. He also appreciates the history at Lower Columbia. Teammates now, the three Lower Columbia commits will be rivals with Miller at Tacoma. And they have a lot of fun with that. “We can’t wait to get a couple more championships over Tacoma,” Kerr said. “I don’t know about that,” Miller replied. “Look at the rings,” Kerr said. “That’s in the past,” Miller replied. “Oh, it will be the future, too,” Kerr said. Miller is outnumbered but does not back down. This spring, they are all on the same side, of course. They proudly play for Skyview, a program that made the final four in 2017 and finished second in state last year. These seniors expect another long run, as well. “The older guys passed down the tradition of winning baseball,” Pitts said. 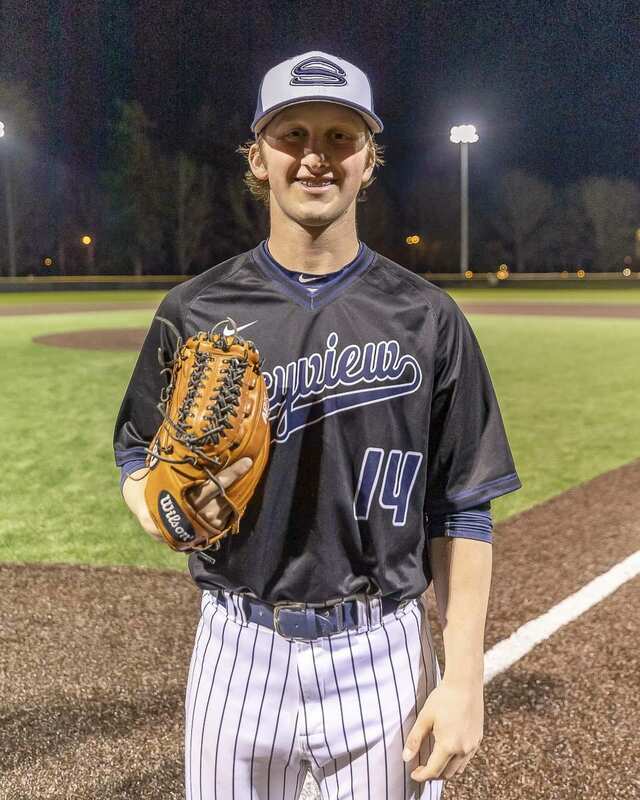 Avery Schmidt, who was on the 2013 state championship team, took Kerr under his wing when the Class of 2019 arrived at Skyview. Miller said he and the Storm want to make the parents, coaches, and classmates proud. “It is an honor to wear Skyview,” he said. Eventually, they all will wear different uniforms. 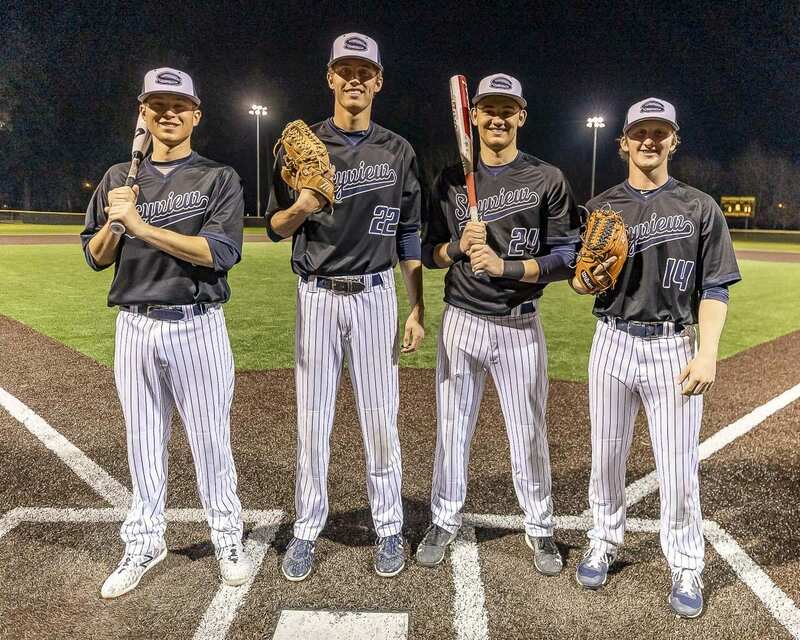 These four Skyview players are heading to the NWAC next school year, but they believe they will be in another conference, or another level of baseball, in the future. Plans changed through the years but the goals remain the same: Play baseball at a high level.